Street: 5198 W 76th St.
U.S. ARKRAY, Inc. is a wholly owned subsidiary of ARKRAY, Inc. of Kyoto, Japan. ARKRAY, Inc. was founded in 1960 as Kyoto Daiichi Kagaku Inc. (KDK). 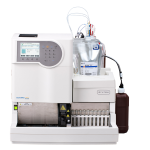 ARKRAY is a global leader in urinalysis and continues to develop innovative diagnostic products including automated urinalysis and HbA1c systems. In addition, ARKRAY is a leader in the blood glucose monitoring market with a dominant market share in long term care.